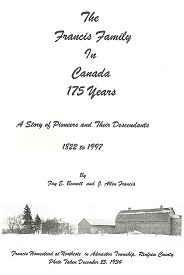 [S145] Census - Canada, Ontario, Renfrew Co., Bromley Twp., - 1901, Automated Genealogy, (Name: Index to 1901 Census of Canada with Digital Images, http://automatedgenealogy.com/census/cache/index.html;). [S2] "Ontario Birth Registrations online at Ancestry.com", FamilyTree.Com, (Name: Subscription www.ancestry.ca;), # 000535 Ontario Late Birth Registration (Reliability: 3). [S559] Information from Beatrice Bennett.